Advocates for community engagement in the arts often get pushback from people who assume that concern for the interests of our communities1 necessitates a “lowering of standards.” What follows is my attempt to address the misgivings (legitimate and otherwise) people have and to address them as clearly as I can. It is intended almost exclusively for arts organizations. Artists should be perfectly free to approach their art in whatever way seems best to them. However, if they are concerned about relevance or reaching more of the public, there may be things here of value. As background for what follows, it is important to acknowledge that all art is an expression of a specific culture. As such, no art is truly universal. One need only put a Shakespearean play and a Noh drama side by side to see the truth of this. The greatest works from any culture are rooted in universal principles but they do not translate (literally and/or figuratively) well between widely disparate cultures. There is an unconscious assumption that the great exemplars of the arts with which we are familiar are universal and that those with which we are not are parochial. This is an understandable but ultimately unsupportable view. Similarly, excellence in an art form is important within its cultural context but not superior to the same level of artistic excellence in work from another culture. As just one example, music of the European aristocratic cultural tradition emphasizes harmony and counterpoint. The great works provide dazzling displays of both. However, largely because of that, it is based on some of the simplest rhythmic structures among world cultures–one need only count to two, three, or four to master that aspect of the music. In contrast, African and Japanese drumming and Indian ragas demand feats of counting and the ability to play cross-rhythms that would befuddle the professional musician in an orchestra devoted to European masterworks. The point here is that no culture’s greatest art is inherently better than that of another. It is also true that it is extremely difficult for someone to adequately assess the quality of art from a culture with which they are unfamiliar. Cross-cultural comparisons of greatness are nearly impossible and, for all practical purposes, pointless. With that as a background we can consider issues regarding artistic excellence inside a given form of cultural expression. There are two principal categories generally used in assessment of the quality of art. Technical excellence, the mastery of the elements of an art form, is one. It is sometimes quantifiable–the speed with which a musician can play scales, the number of accents an actor has mastered, the skill with which a painter manipulates perspective. But all critics acknowledge that technical excellence by itself, while impressive, is insufficient for greatness. The art must also be “expressive,” bringing forth the human feeling or experience associated with and undergirding the work. This aspect is nearly impossible to quantify but is also insufficient by itself. Great expressiveness without technical excellence is simply messy. The technical flaws distract from and diminish the experience. These two aspects of excellence are critically important and form the basis of most people’s concerns about community engagement. However, those are not the only criteria for excellence. In workshop settings I sometimes ask participants which is better, a quilt made by an internationally renowned artist or one made by your grandmother. Obviously a “trick” question, the point, of course, is that they represent two completely different types of value. The former presents technical excellence and expressiveness, the latter personal meaning to the grandchild. There are categories of excellence unrelated to technique and expressiveness. In a 2014 essay, “But What About Quality?” (http://museumtwo.blogspot.com/2014/09/but-what-about-quality.html) Nina Simon suggested dimensions of quality that could be considered in assessing excellence. (See below.2) While not a thoroughly vetted list, it does, like the quilt question, highlight the fact that excellence is not a unitary thing. It is also diverse enough to show that excellence in one area does not imply excellence in all. Indeed, some of the categories may be so divergent as to be almost mutually exclusive. Rather than focus on all categories of excellence, I’d like to consider just three that are particularly important to community engagement. The first is the ability to craft participatory arts experiences for members of the community. The arts of the European aristocratic cultural tradition have skewed toward passive observation rather than direct participation, especially in the last two generations with the decline of public school arts programs and private instruction in the arts. A strong case can be made that increasing opportunities for arts participation is vital to the future of the nonprofit arts industry. Regardless of that, presentation of spectator-oriented arts experiences is vastly different from creating effective participatory ones. It is not easy to do the latter. Excellence in participatory program design and implementation can (and I would argue should) be viewed as being as important as presenting performances and exhibitions. The fact that the resulting artistic product will likely not be technically proficient is irrelevant. It is the excellence of the experience for the participant and the resulting benefits to the arts that are key. It could even be argued that this is more important for the future of the arts, the well-being of society, and the viability of the arts organization than technical and expressive excellence. To drive the point home, the organization typically focused on traditional views of artistic excellence could be described as inferior in this category. The capacity to develop and maintain awareness of the interests and needs of the communities we serve is important for the health of arts organizations. To be effective, this must then be paired with the ability to create and present programming that serves the community. 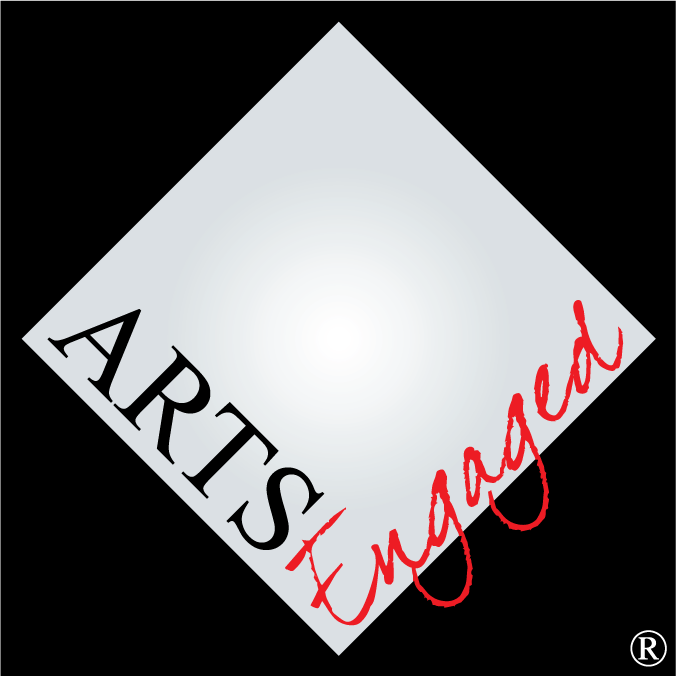 Many (if not most) arts organizations are skilled at presenting work that is excellent with respect to technique and expression. Unfortunately, too many are oblivious to community concerns or somewhat hamfisted in attempts to be of service. Improving skills in these areas can be an important step in ensuring a better future for the organization. The impact of the art we present on the individuals who experience it is, or should be, the core concern of what we do. However, some in our industry are so focused on the art that they ignore this or unconsciously assume that the art will work its magic spontaneously. There is some question as to whether the latter was ever true for anyone who was not an arts aficionado. However, due to cultural issues addressed above and the pervasive lack of arts education and participation we have seen develop over the last fifty years, it is clearly not the case today. The ability of an arts organization to help people connect with the art they present is another category of excellence not directly related to technical/expressive proficiency, but it, too, is a skill critical to sustainability. The ability to craft effective participatory experiences, to serve the interests of communities, and to make connections between people and the art we present are three categories (but only three of many categories) not directly related to technique and expressiveness. When speaking of excellence in our field we need to remember that there are a variety of things to consider, each of which are important. Technique and expressiveness are vitally important and for most organizations will continue to be the bedrock of their practice. However, the tendency to be almost exclusively focused on them is short-sighted and, in the long run, detrimental to the industry. A complicating factor in discussions of excellence is the issue of equity. The arts of the European aristocratic cultural tradition have benefited for centuries from financial support for infrastructure, education, and presentation that has been totally unavailable to the arts of other cultures. One result is that gatekeepers in the arts who are products of this system are largely unaware of the arts of other cultures and so continue to make assumptions about excellence that favor the art they know. A more practical result of the access to resources is that visual and performing artists working in these European traditions have been provided time to hone their technique in ways not possible for artists whose work is rooted in other cultures. It is patently unfair to compare levels of technical excellence (especially with respect to institutions) in Eurocentric presentation with that of other cultures. The fact that many individual artists are on a par with their Western peers with respect to technical proficiency in their native styles and forms is a testament to the hold that the arts have on them. Community engagement is rooted in relationship building and the indispensable foundation for that is respect for those with whom one is attempting to engage. Unfortunately, discussions of excellence in the arts are sometimes clouded by an undercurrent of dismissiveness about the ability of people (the “unwashed masses”) to appreciate great art. This assumption of cultural (and/or intellectual) superiority is usually, though not always, unconscious. The issue of cultural traditions is important here. I have some understanding of Indian classical music–ragas, rhythmic practices, and musical structure, but I can’t say that it speaks to me. That does not make me lesser nor does it demean Indian music. It’s just that I don’t make a point of attending concerts. That, I am sure, is largely due to the fact that I am not a product of the culture of the subcontinent of India; and it demonstrates why it can be difficult to grow an arts organization by attempting to connect with people who do not share the culture of the art presented. People whose cultural background is not tied to the European aristocratic tradition can hardly be faulted for a disinclination to participate in arts experiences derived from it. With respect to the more general issue of capacity, there is one view that a lack of interest in our art demonstrates that “those people” lack a basic depth of feeling or understanding. (If, reading this, your reaction is that no one believes that, trust me. I’ve had these conversations.) The inherent arrogance of this perspective should be self-evident. Most people on this planet have passionate attachments to home and family, to their god, and sometimes to their region or country. When they have the time and luxury of thinking about things other than basic necessities (and this is a key issue) they are concerned about the big questions of their place in the universe and the meaning of life. To believe otherwise, consciously or not, is simply indefensible. Finally, to address a negative assumption that some people make about community engagement, we are not talking about “giving people what they want.” Polling people about what works they want presented is particularly counter-productive when they have little or no awareness of what works exists. As I often say, community engagement is not “giving them what (we think) they want.” Rather, it demands learning enough about communities to know what work of the international cultural canon will be meaningful to them and then programming that with them. Unquestionably, it takes education, effort, and experience to appreciate great art, but people without access to any or all of those cannot be held to account for that lack. We, the workers in the nonprofit arts industry, are the ones with the most direct, practical vested interest in the success of our organizations. It is not the responsibility of others to come to us. It is our job to figure out how to become more meaningful to them. If it were true (and unalterable) that many are incapable of appreciating reflective art, that would be devastating for the future of arts organizations. Fortunately, that is not the case. For the health of the industry, widespread relevance is an important goal. Indeed, as I have argued elsewhere, relevance may not be sufficient in an era of conflicting priorities. Achieving recognized indispensability may be vital. (Engage Now! A Guide to Making the Arts Indispensable.) Finding appropriate ways to be meaningful to greater numbers of people is the key to our future. There are many categories of excellence. No individual or organization can be excellent in all things. Unfortunately, some in our industry use the shibboleth of technical and expressive excellence (in one very specific cultural tradition) as a means of stopping conversation about connecting with communities. This is tragic when the need for ever greater relevance is critical to the future of the nonprofit arts industry. There is no question that technical and expressive excellence in art of the European cultural tradition will be a central goal for many arts organizations, but these are not the only types of excellence. Frankly, they may not be the categories of excellence most necessary to move us toward relevance and certainly not toward the goal of indispensability. Organizations can and should make choices about how to focus their efforts and choose the areas of excellence they want to highlight, but this should be done with full understanding of the impact of those choices on their path to sustainability. 1In my work I define community as “a group of people with something in common.” This only applies to planning with respect to community engagement and is not intended as an actual definition of the word. INNOVATIVE: is it cutting edge? INTERPRETATIVE: can people understand it? EDUCATIONAL: can people learn from it? RELEVANT: can people relate to it? PARTICIPATORY: can people get involved or contribute to it? ACADEMIC: does it produce new research or knowledge? BRIDGING: does it spark unexpected connections? IGNITING: does it inspire people to action?